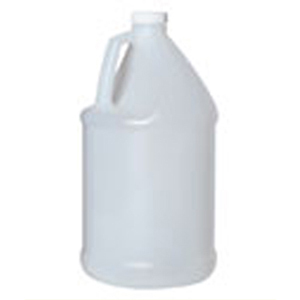 1 Gallon Natural HDPE Handled Round Narrow Mouth Jug with 38-400 white PP SturdeeSeal® foamed line cap. Case of 48. Due to the oversized natured of this product, we will contact with you to discuss shipping options. Please contact us at 888-268-6037 if you have questions.